We’ve seen a lot of unorthodox uses for the MacBook Pro’s fancy new Touch Bar, including using it as a piano, or turning the whole machine into Kitt from Knight Rider. But playing a simple version of the classic puzzle game Lemmings might be the most brilliant use of the hardware upgrade yet. 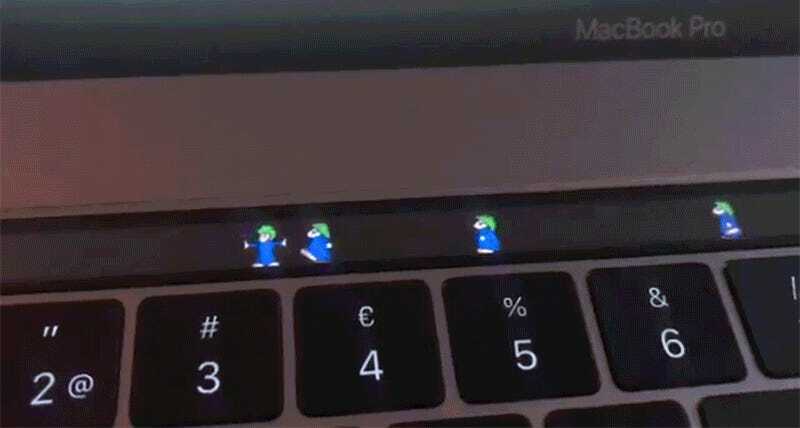 Erik Olsson is responsible for this hack, which not only has the green-haired lemmings walking back and forth across the Touch Bar, they can also be tapped to limit where they can wander back and forth. It’s not quite as robust as the original game was, but let’s hope this is just a proof of concept that Erik plans to flush out further.